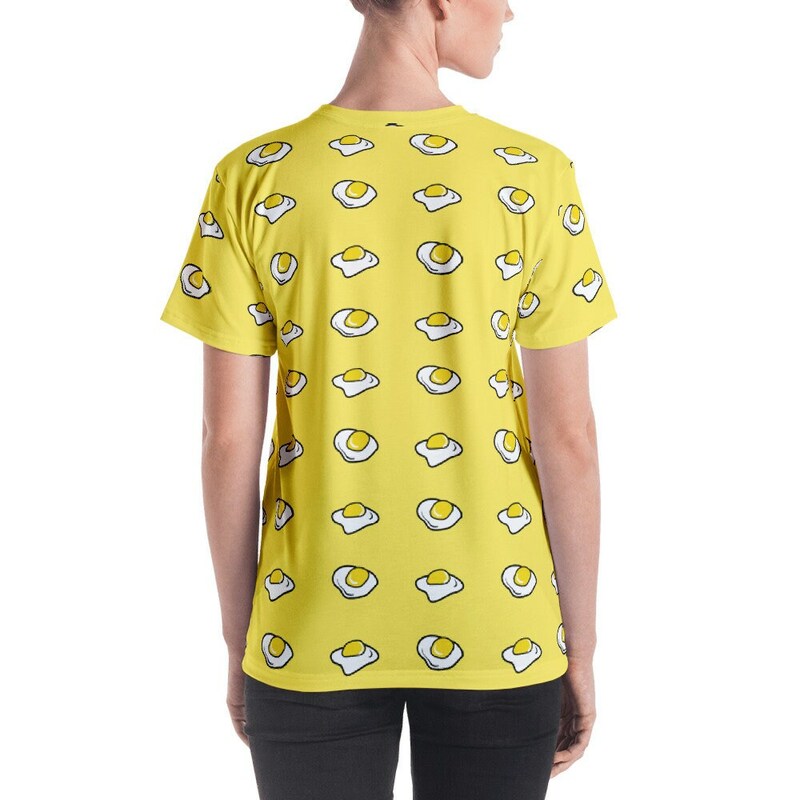 I've been obsessed with Egg fashion since I first saw a photo of someone with an egg themed outfit in Harajuku. 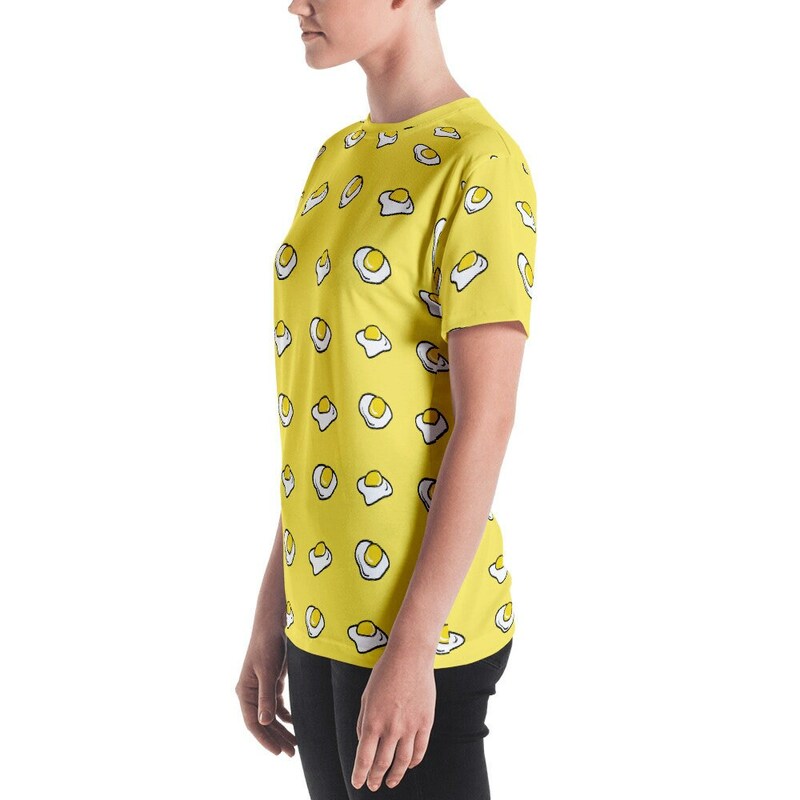 It's only fitting that I fall in love with this fried egg all-over print shirt! 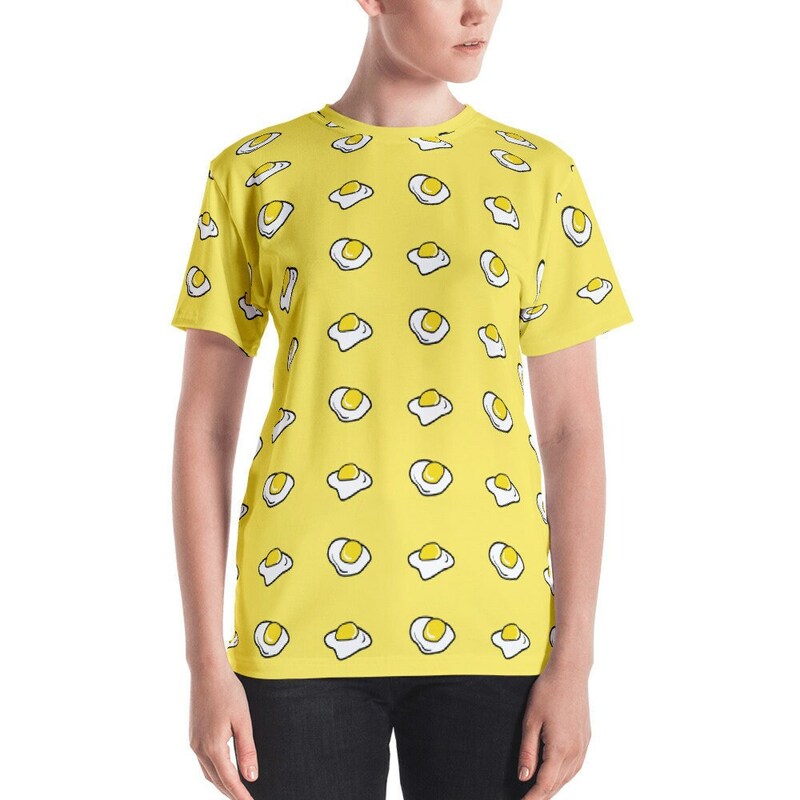 Beautifully printed Luxury T-Shirt, designed exclusively for Jigglypunk. 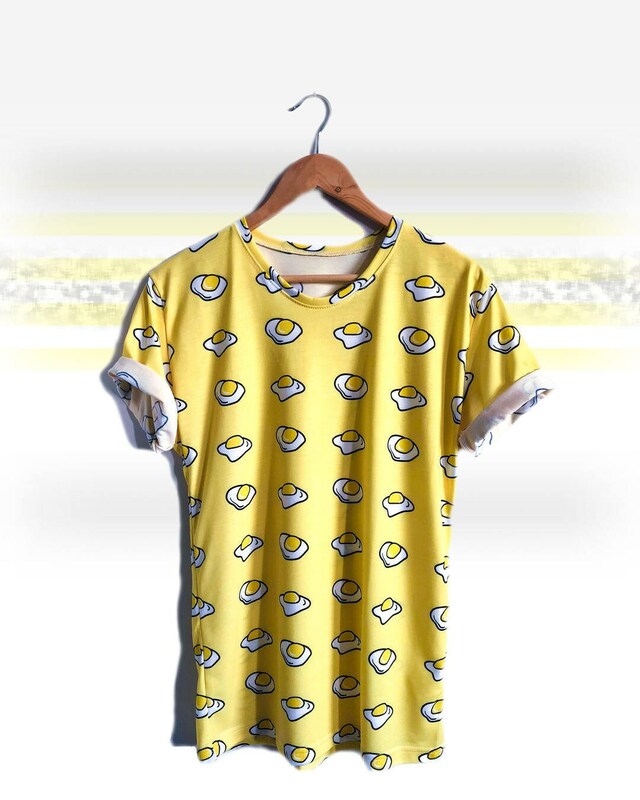 This is a boutique quality shirt! 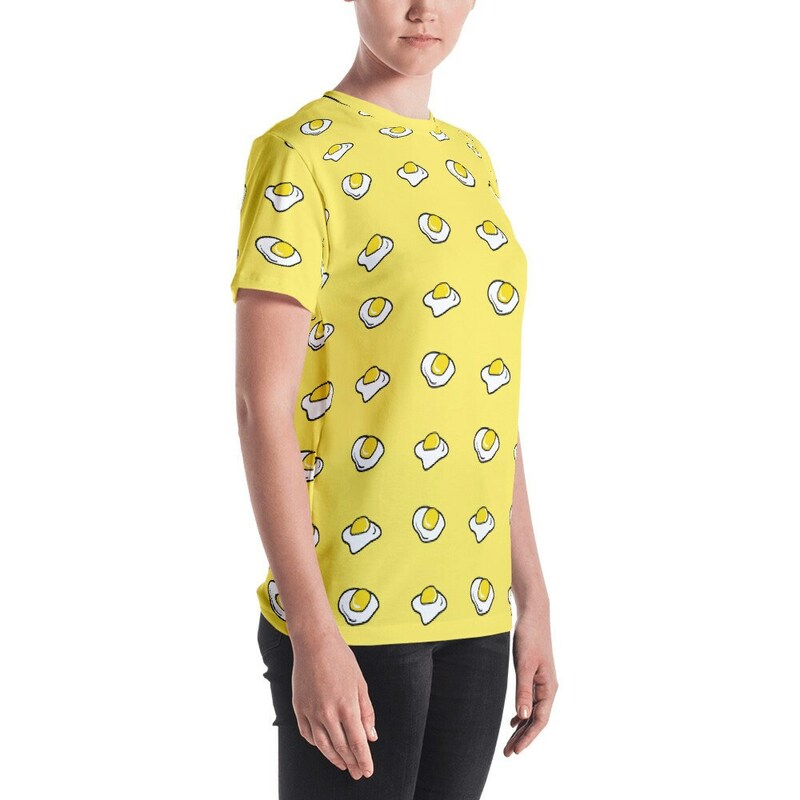 My new all over print shirts are cut and sewn with care. Made from soft polyester jersey fabric with a comfortable stretch of elastane in the the mix!